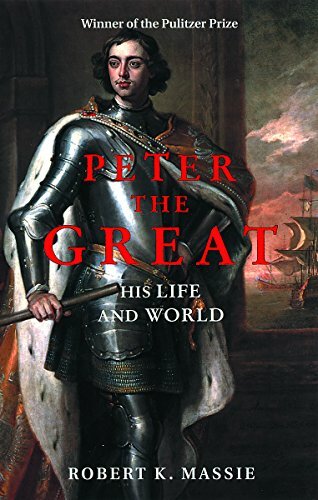 It is a dense read, slightly longer than King’s novel The Stand (and it took me most of the summer to get through) but I must say I was not bored or distracted reading this excellent and engaging biography. Peter Romanov was Tsar of Russia (later upgraded to Emperor of All The Russias) from 1682-1725. It was equally a biography and a European history lesson for me. The age of Louis XIV is in it’s twilight as the book begins and Russia is a not well-regarded backwater kingdom (or tsardom). Moscow or Moskovĭ was “Russia” at that time. Most Europeans referred to Russians as “Muscovites.” Massie starts off his book by describing the Muscovite/Russian character. They are not a conquering or aggressive people but rather a nation of defenders. Russia has been invaded constantly since the beginning from all directions. The fact that they are still a unified country after so many invasions, hardships, and wars proves one thing: Russians are tough motherfuckers. Peter’s father, the Tsar Alexis, was not a bad tsar but he preferred to stay cloistered in the Kremlin and barely ever left it’s walls. But many of his policies, such as toleration of foreigners, set up the legendary reign and accomplishments of his famous son. When Peter was a child, the Streltsy, elite infantry troops with political power (think of the Nazi SS) rebelled and stormed the Kremlin. They did not like that Peter (who came from his father’s second marriage) was going to be the next tsar over his physically frail but older brother from his father’s first marriage. Peter witnessed them slaughter some of his beloved family members and he never forgot or forgave them. They would later pay for this uprising when his brother died and he became the sole autocrat… oh yes, they would pay dearly and gruesomely. Peter could be both cruel and kind, which makes reading about his life quite interesting. Sometimes he would resemble his ancestor Ivan the Terrible, while other times he could be kind and just. He did altogether seem to be a rather logical king and his reasons for action or inaction were usually justified. But if anyone dared betray him, there would be no mercy. For example, he had is own unfortunate son and heir tortured to death. Because of this the title of Empress would go to his wife Catherine (who came from nothing) after his death. – Built the first Russian Navy, literally from a single rotting boat. – Founded the city of St. Petersburg, giving Russia it’s first warm water port and a new capital. – Defeated Charles XII and Sweden in The Great Northern War. – Lead a “Grand Embassy” to all of the major cities of Europe introducing Russians to Europe and Europeans to Russia. – Reformed the Russian educational system and calender. – Founded Russia’s first state newspaper. – Created the flag of Russia (still used today). – Organized the first standing army. – Completely reorganized the government bureaucracy, removing automatic posts by blood and instead promoted people on merit. Many of his closest lieutenants and even his wife were originally common folk. – Instituted tax reform to pay for his many projects and wars. While he is regarded highly in Russia today he was not very popular with the people in his lifetime. His tax burden was so heavy than many peasants and nobles fled into Russia’s vast forests and frontiers never to be seen again. However, unlike our recent American administrations which are burdening future generations with outrageous debt, he paid for St. Petersburg and his many wars in full. He never had to borrow money from a foreign country or pay for any of it on credit. So the people of Peter’s time could take some pride in the fact that without them Russia would still be a backwater. That is what is he is best known for, catapulting a medieval “oriental” country into a modern European one. Russia as a world power can be traced directly back to Peter’s reforms and forced Europeanization of his country. This is another reason why his overtly religious people thought he may be the antichrist. They didn’t like foreigners and their foreign customs. The book reads like an exciting novel. The pace only slows when Massie leaves Peter and segways into the “World” in the title. It’s not just a book on Russian history but a book on every power in Europe around the year 1700. Louis XIV, William of Orange, Charles XII, Sultan Ahmet III… if you don’t know these names you will know them intimately by the end. The warrior king Charles XII of Sweden is an especially interesting character. Just as the Russian character was one of defense, that of Charles and Sweden was one of aggressive war and military conquest. Hard to imagine that with the Sweden we know today. This is one of the best history books I have ever read. The fact that I was largely ignorant about Russian history did help me enjoy it more and much of the information was new to me. Highly recommended!